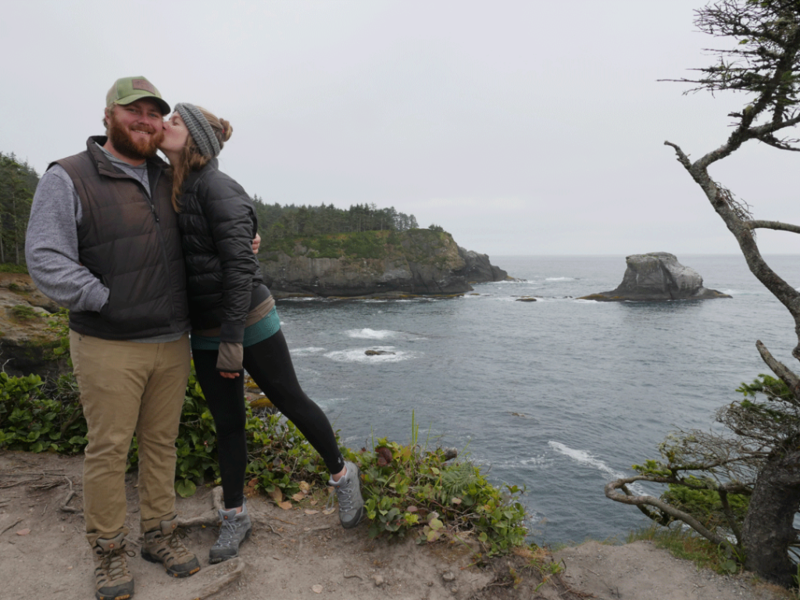 Let’s be honest, being able to spend more time together is part of the reason we embarked on this full-time RV adventure, but it also means there are more opportunities for conflicts to occur. So, I’m going to let you go behind the scenes and share the 3 things living in an RV has taught me about marriage (so far) and maybe Luke will do a follow up post. I’m posting this without him reading it first… so you’ll have to hold me accountable to these lessons learned. Recently, Luke and I were thinking about the fact that in our nine years of dating/marriage we’ve never spent this much consecutive time together. The longest vacation we took was 9 days. Most normal weeks we’d spend the evenings together, sleep and then go to work. Typically, Luke left for work way before I was even out of bed. It’s kinda crazy how our normal 9-5 schedules prevent us from spending time with our family. Luckily, I really do love my (former) co-workers because I can’t imagine spending everyday with people you don’t like. Living in the RV and traveling full-time totally turns “normal schedules” upside down. We spend the majority of our time together – just us and the dogs. Honestly, before this trip, I was a little afraid after a week we’d run out of things to talk about. Or my seriously-introverted-self would need serious alone time, while his extremely-extroverted-self would get stir-crazy without friends to hang out with. But so far, so good! We have new things to talk about everyday and are having more fun together than we ever expected. That’s not to say there haven’t been moments of frustration or annoyance. Life on the road brings about a whole new set of responsibilities to divide, things to be aware of (like what is that burning smell and did the parking brake just go out?) and small spaces to share. There’s practically no way we can cook dinner together in this thing. Someone has to get out of bed first in the morning and take the dogs out. And who really wants to be responsible for emptying the tanks?! No one. There is no room to be offended. Yep, that whole love does not take into account a wrong suffered thing (and just to clarify, our “wrong suffered” is so light compared to the world) has never been more true. Let’s be honest, we aren’t trying to provoke or offend each other. But when I’m hangery (which is about every 4 hours), Luke’s jokes aren’t as funny, and I’m a lot sassier. Surviving and staying in love in 32 feet means we can’t stay offended, especially since we don’t mean to offend each other in the first place. It just means we must address issues a lot faster than before, which is not my strong suit. My go-to is to not say anything, try to get over it, start to become resentful, get annoyed again and then freak out about ten different things at once – it’s not a good approach, if you’re wondering. I don’t think I will ever stop working on this one, but living in a tiny space forces focus. I quickly realized that we are pretty much all each other has for the next 7 months. There’s no getting annoyed and venting to a friend the next day. 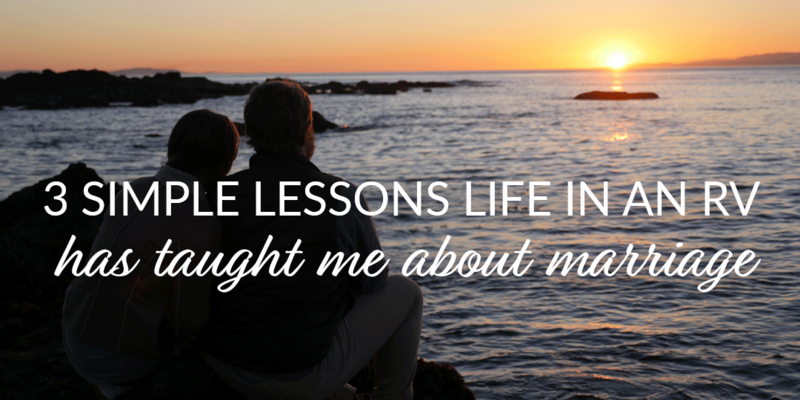 While this lesson isn’t reserved for RV-living, it definitely helps us practice it. Don’t be so easily offended. Communicate. Forgive. Move on. There’s so much to experience and see on this trip, but it’s not nearly as fun if we’re annoyed with each other. You’ve got to be a little goofy. Since you must be a little crazy to leave everything and move into an RV, you have to have moments of goofiness, too. Partially because there will be moments of stir-crazy and partially because it makes the little moments more fun. In the first three weeks, we made it across the country, spent time in Napa, Yosemite, Redding and drove to Oregon – all with three dogs. While it is incredible, it’s a lot of traveling, which can be stressful at times. So, when one person is a little goofy, you have no choice but to embrace it. Even if that means singing along to “Forest Road 42.” Haven’t heard of it? That’s probably because it’s a song Luke made up and sang the whole time we were in Bend, OR (especially, when I was hangery). At home, if I was stressed about something or tired, it was too easy to get annoyed at the goofiness. Living on the road with a (loose) agenda and new things to figure out has been a good reminder to make room for silliness and fun. 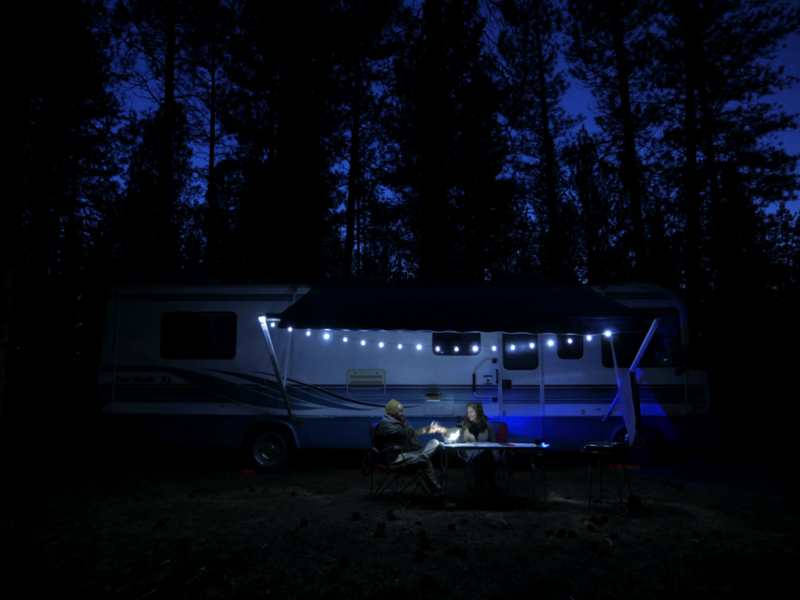 It’s easy to get stressed on days we have a lot of work to finish or something else breaks on the RV, but there’s no point in letting a little stress dampen the rest of the day. Experience extraordinary day-to-day life together. It’s safe to say we both love Wilmington, which is why for 26 years I didn’t leave. We have (had) our dream jobs, our families, our best friends, the beach, the riverfront and a gradually improving food scene. Life was good and everything we could have hoped for at this point in life. While the primary reason for embarking on this trip wasn’t to spend every waking second together, we have already experienced and seen the most incredible things. 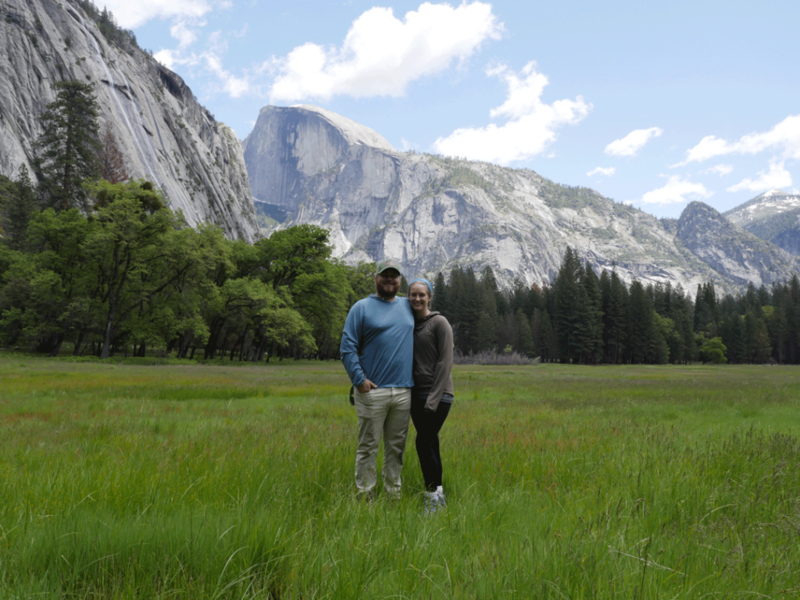 I mean, we were in the most magical, grand, spectacular place ever for 9 days (Yosemite, if you’re wondering). I don’t think we can beat having these experiences and memories together. It does a relationship well to be awe of a view or be soaked by a waterfall (even if it’s freezing). We’ve worked this road trip out so we can live in awe for 7 months before heading back to Wilmington, but even just a break from the ordinary day-to-day does the heart good. It’s only been a little over two months (sometimes the days have felt long – like in the heat of Redding, CA), but I’m getting to experience the beauty of marriage and travel with my best friend. It doesn’t get much better. What has full-time travel (aka togetherness) taught you? 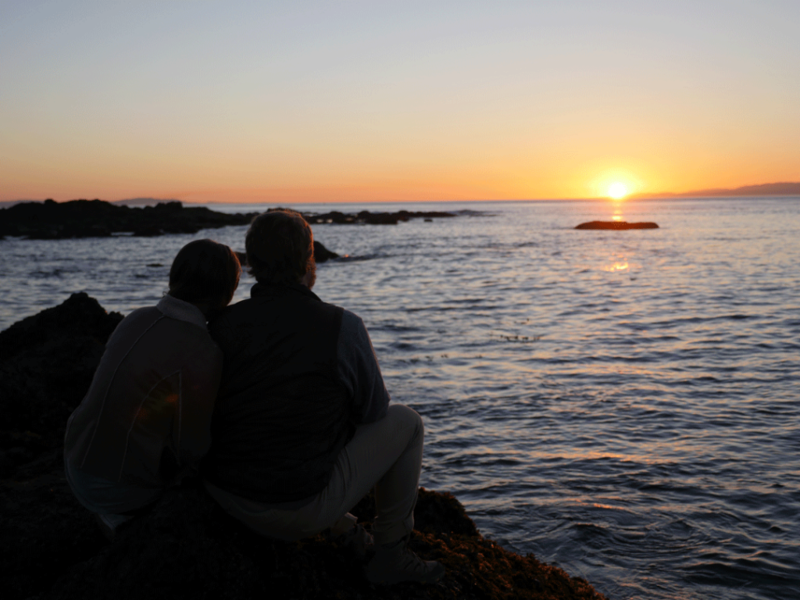 What’s the best part about traveling with your travel partner, spouse, bestie, lover, so on…? Wow! Such a good read on togetherness. Also, can you post the lyrics to “Forest Road 42”?